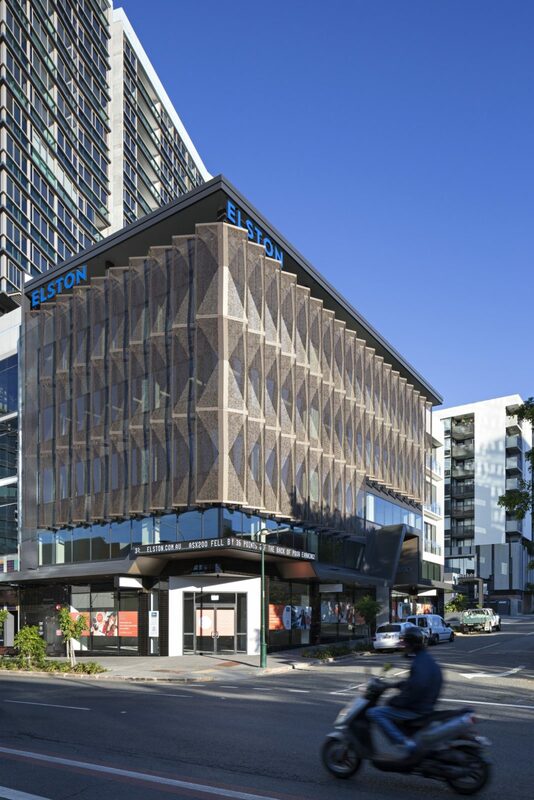 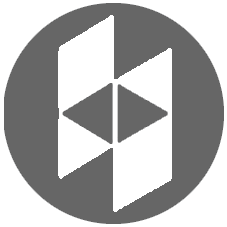 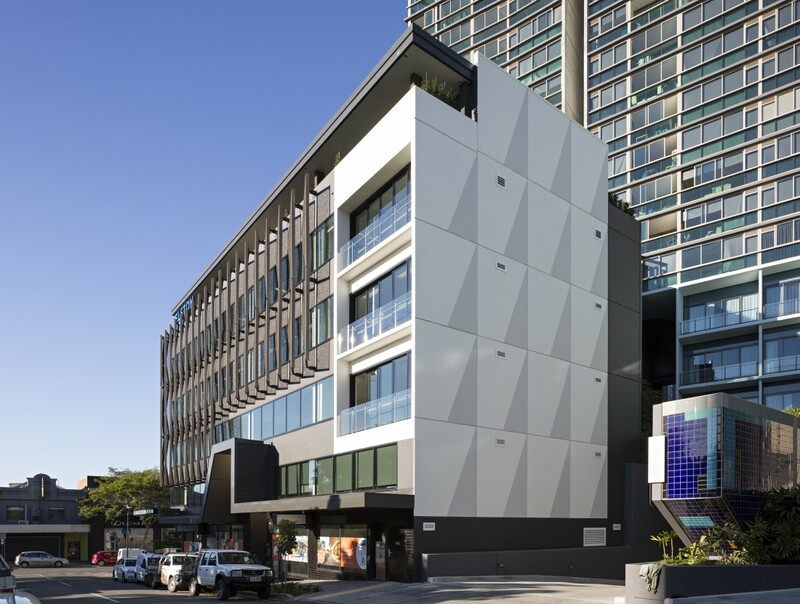 850 Ann Street is a boutique five storey commercial development in Fortitude Valley, Brisbane. 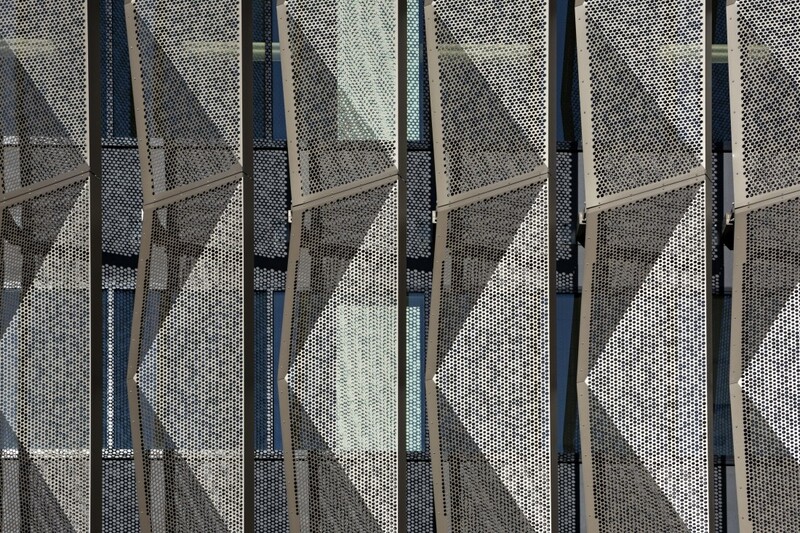 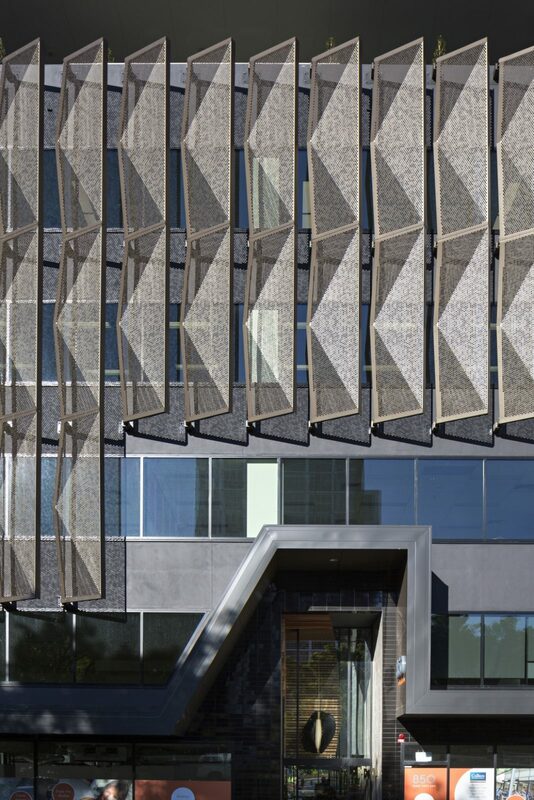 Reddog Architects were engaged to re-interpret the facade and entry sequences of the built form. 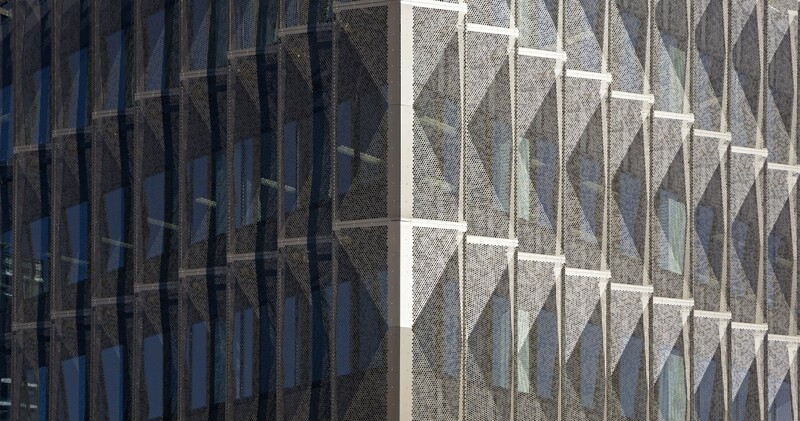 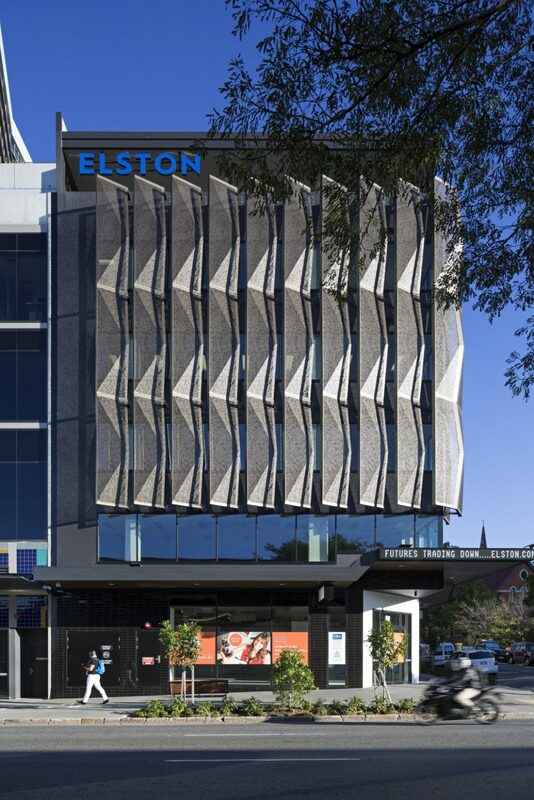 Conceived as a protective canopy, the perforated screen that wraps the building provides a sense of depth, shade and enclosure to the flat glass facade. 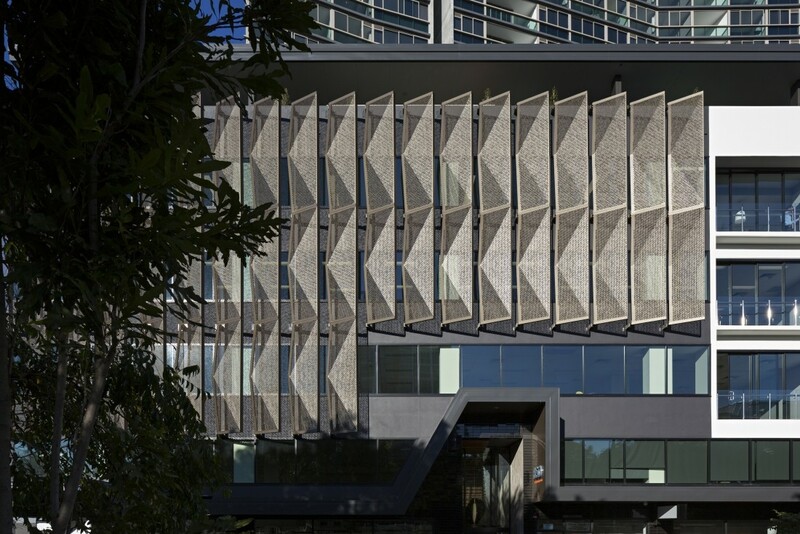 The angled folds of the screen generate dappled shadows throughout the day; referencing the Moreton Bay figs that line the surrounding streets. 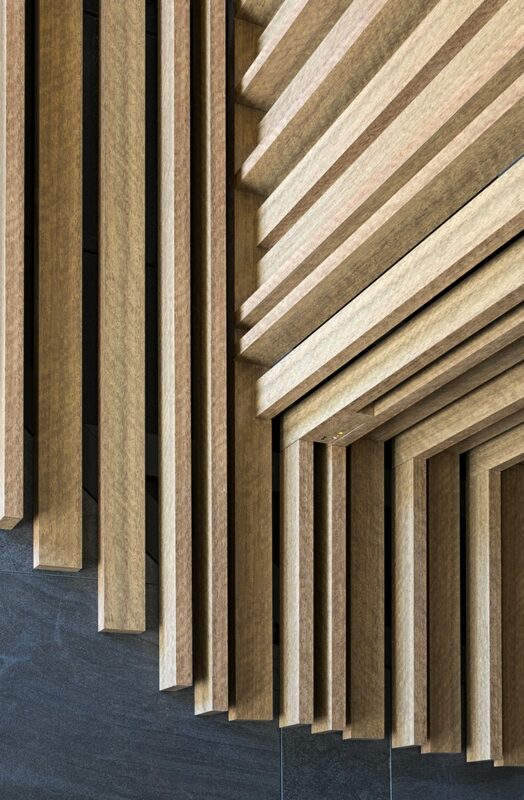 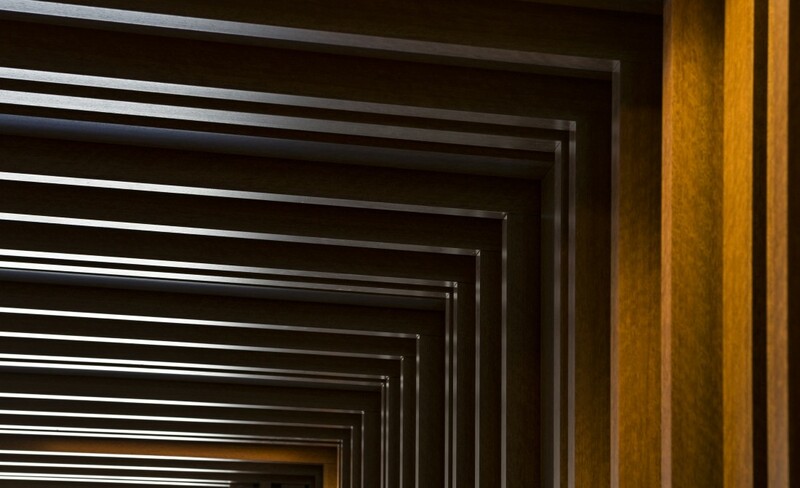 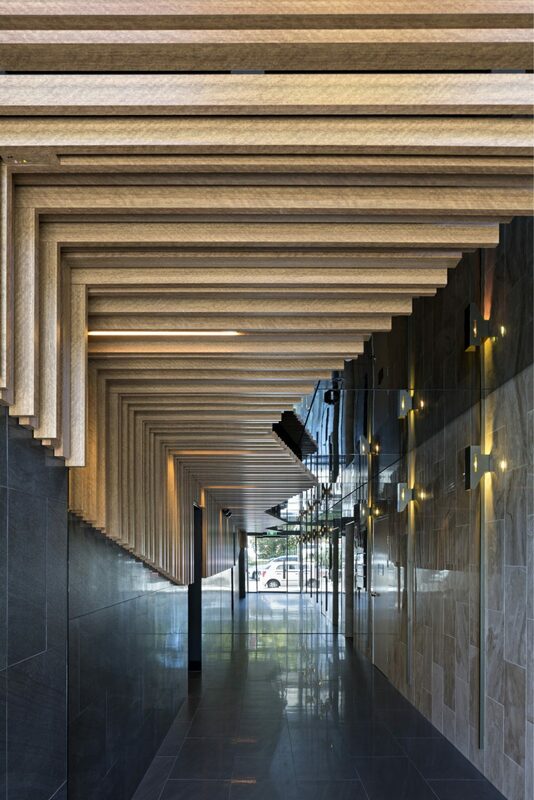 The building foyer was kep intentionally cool and dark, with offset timber battens and smokey grey mirrors creating a layer of shadow and light reminiscent of the hanging branches and deep roots of a shaded forest understorey. 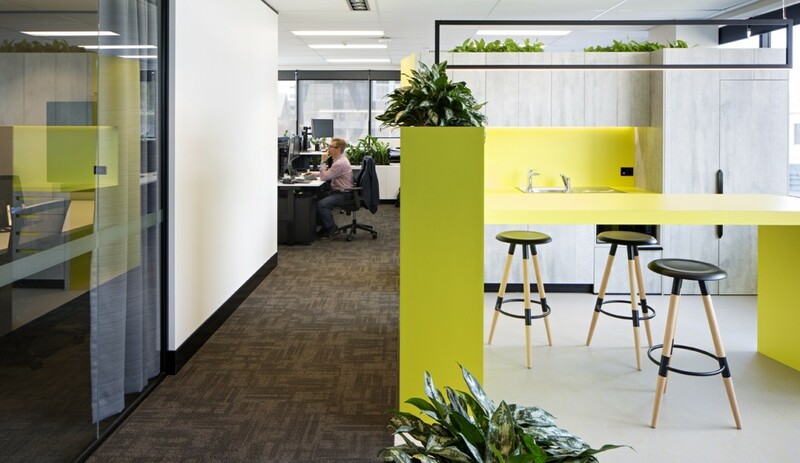 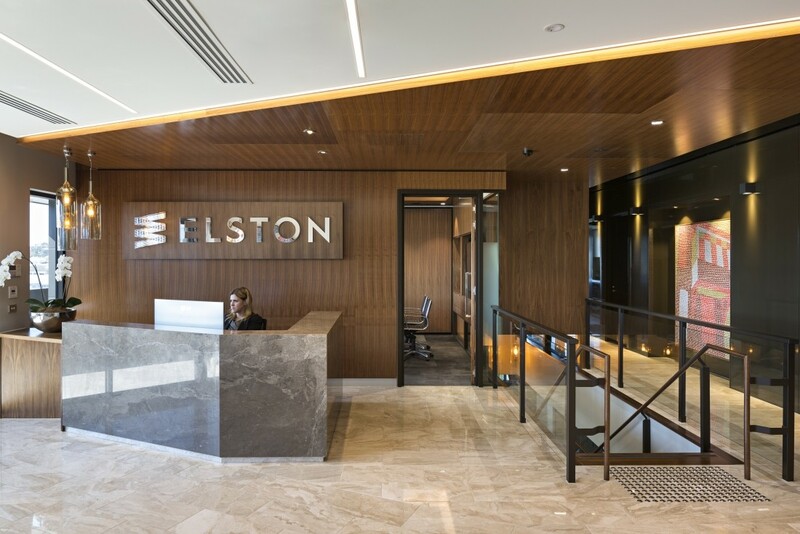 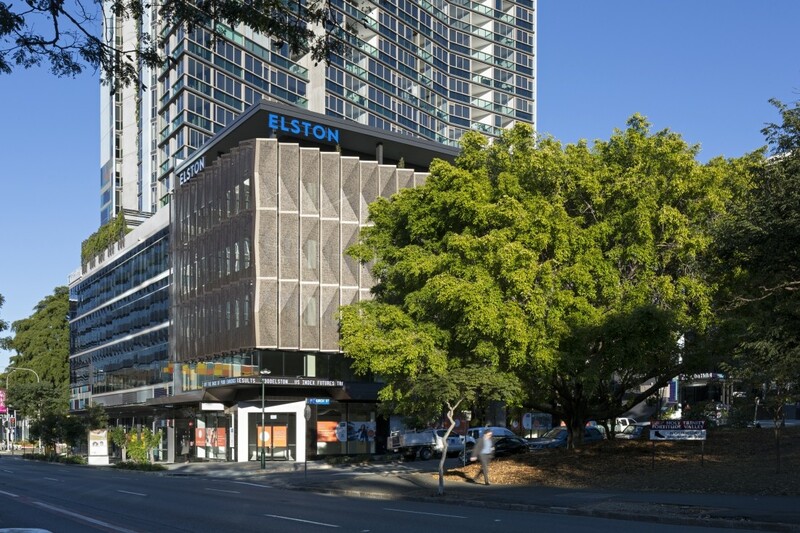 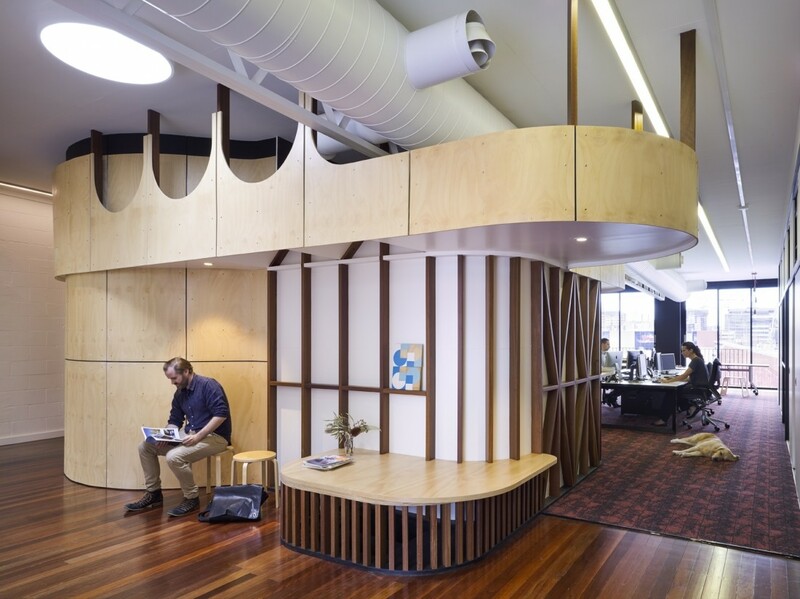 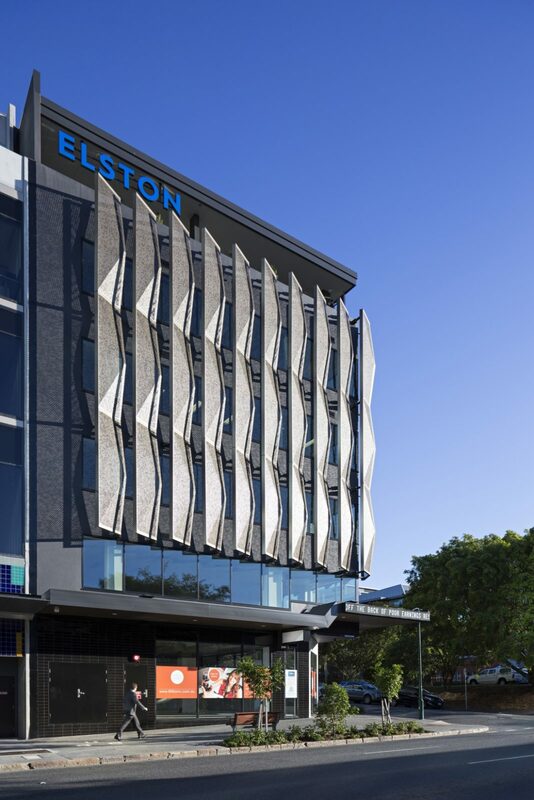 Reddog Architects has also completed the fitout for Elston Head Office.